Any event has the potential to get your company and brand out there. What better way than to utilize social media to create a buzz. In preparation for an extremely successful and socially lucrative event, the following items are a MUST in order for things to go smoothly. 1. Setup a Social Command Center For The Event – This may be as unimposing as a small desk, laptop, and an Internet connection or a complete room filled with bloggers and social experts. The point is that you will ensure SOMEONE is in charge of collecting event content and processing accordingly in near real-time. **NOTE: Make sure a strong WiFi signal (or other Internet connection) exists. 2. Formulate a Gameplan – In other words, what is the online event and social media GOAL for the event. Is it brand exposure and awareness or is it to sell products or services? Answers to these will help formulate a plan of action for turning collected social media assets (video, images, blog content, audio, etc.) into targeted and on-message deliverables to meet the objectives of the event. 1. Create an event #hashtag – This allows both event attendees and friends not physically present to easily identify the conversations surrounding your event in order to listen and participate. A hashtag is simply a keyword with a pound sign in front of it that people can include in their Tweets. Attendees can also search for the hashtag on Twitter to follow updates about your event and keep the online conversation (aka BUZZ) going indefinitely! 2. Encourage live tweets from the event – By being creative and displaying a LIVE twitter feed at or during the event, attendees will be EXCITED to tweet just to see their message appear on-screen during the event itself! Instagram – For image related content (like photos taken during the event) as well as the holy-grail of UGC (user-generated content), hands down, Instagram (owned by social behemoth Facebook) is THE image related channel to connect with your target demographic. 3. Utilize Contests, Awards, & Give-Aways – For any attendee that posts the most creative, quickest, or largest volume of event photos (using the event hashtag of course), award them with a free gift, t-shirt, poster, or ANYTHING! Trust us when we say, the amount of potential real-time exposure from the multiple friend networks IS WORTH IT! 4. Aggregate and Display These Photos LIVE During The Event – Which will immediately increase engagement and promote participation, expanding the reach of your promoted hashtag and increasing the chances that more people in more social networks will see the images from your event. Vine – The promotion of short video segments (6 seconds max) is perfect for quickly editing down raw video footage into bite-size nuggets that QUICKLY convey your product, event, or brand message in a compelling way. 5. 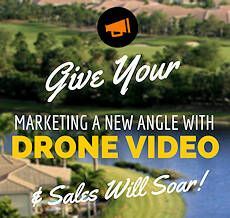 Promote Virally – With the viral nature of Vines, brands, agencies, and marketers all over are busily creating 6 sec videos that tell a compelling story in shortform. Here’s the chance to create an elevator pitch for your event with the potential to be widely seen and shared. 6. Audience Engagement – Encourage the event participants to create Vines during the event (again, using the established event hashtag) and then share them on a screen in the lobby or another suitable place at the event. After the event has completed, this is the perfect time to start the creative and editing process of raw content (images, audio, and video) in order to generate a multitude of social and online media assets. 1. 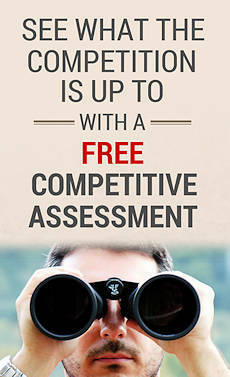 Identify & Execute Blogging and Text Content – Nothing connects readers better with a brand than well-crafted blog posts that ties in the human interest angle of the event directly with the brand and product promotion. 2. Identify & Execute Social PR Push – While the “During Event” social publishing is quickly edited and published in real and near-real time, post-event publications can be thoughtful, creative, and professionally produced to ensure the follow-up messages coming out of the event are on-target with the overall corporate brand messaging. 3. Report & Gauge – Probably THE MOST IMPORTANT step of all the previously mentioned tasks is to gauge the overall effectiveness and social penetration of the entire campaign from end-to-end (Pre, During, and Post-Event). By aggregating statistics of reach, exposure, viral-ness, and sentiment into an Executive-level summary report, you will be able to get a better understanding of what worked best and what needs improvement for future event-based campaigns. These reports can also serve as preliminary ROI statistics.